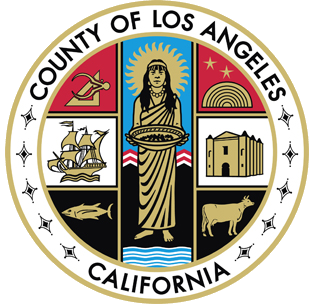 Gary Jones was appointed Director of the Department of Beaches and Harbors by the Los Angeles County Board of Supervisors on April 15, 2014, after having served as the Department’s acting director for eight months. He was previously a Deputy Director in charge of the asset management and planning divisions at the Department since 2009, and his responsibilities have included managing the County’s portfolio of long-term ground leases in Marina del Rey that generate $42 million in revenue per year. He was the lead County negotiator for new lease agreements that cleared the way for over $100 million worth of redevelopment in the Marina. In 2011, Mr. Jones was instrumental in garnering state Coastal Commission approval for a major change to the Marina’s Local Coastal Program and helped secure a master Coastal Development Permit, accomplishments that provided for more streamlined redevelopment of the Marina’s waterside properties and for the modernization of six aging anchorages. He created a new Boating Section within the Department to ensure that redevelopment efforts would also include serving the needs of recreational users of the Marina and enhancing public boating amenities. Mr. Jones also oversaw capital projects on County beaches and in the Marina, including an $11 million dredging effort to remove nearly 800,000 cubic yards of sediment from the harbor entrance channel. Dredged sand was used to restore an eroded section of Redondo Beach and provided infill for Long Beach Port’s Middle Harbor Redevelopment Project. With more than 22 years of experience in real estate, development and urban planning, Mr. Jones previously managed assets for the City of San Diego for nearly ten years. There he was responsible for a real estate portfolio generating over $70 million annually that included 27 leases in the 4,250-acre Mission Bay Park. Educated in Great Britain, Mr. Jones received his Bachelor of Science degree in Biology from Southampton University and his Master of Science degree in Real Estate Studies from De Montfort University in Leicester. Mr. Jones is an avid sports fan and is a life-long supporter of Leeds United soccer club. In his free time he also enjoys watching his two young sons play basketball and lacrosse.